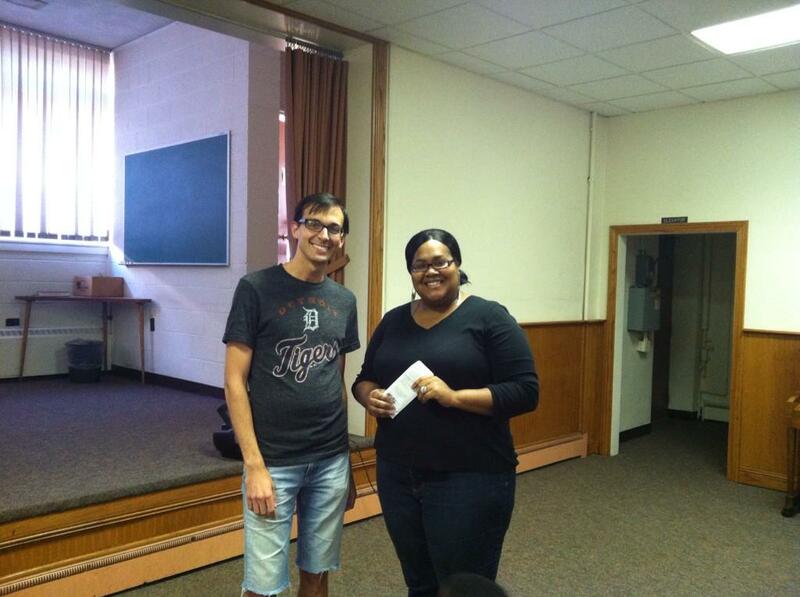 July SoupGrant winner Angie took home $98 on behalf of STARS. 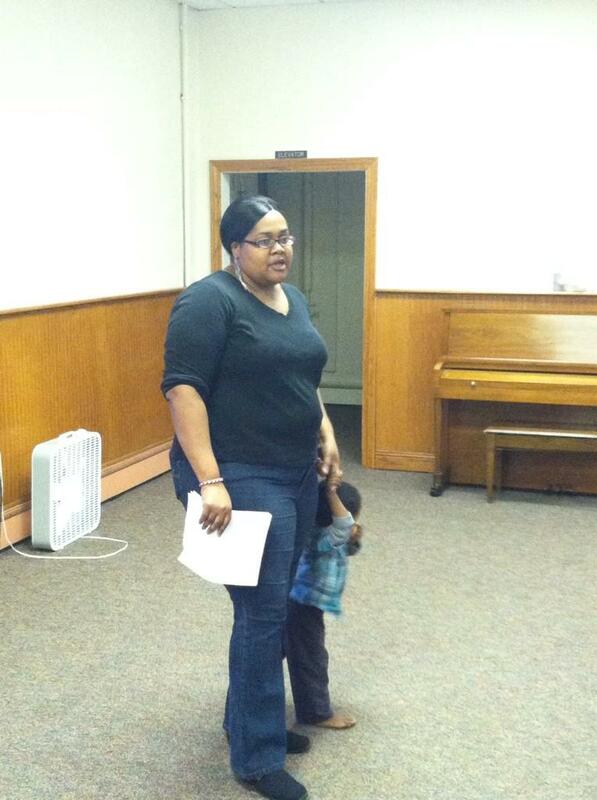 We had a great SoupGrant last Thursday! We featured two awesome projects – Go Green Trikes and STARS – who competed for our SoupGrant. In addition to hearing from Yvonne from GGT and Angie, one of the STARS parents, we had some great soups: potato chowder, crushed lentil, and an amazing carrot soup. Aliza made a delicious kale salad – we’ve had a few requests for the recipe! Watch out, Aliza! You may have more than one SoupGrant attendee asking you to make it again sometime! Both ideas were very popular – we had lots of questions for Yvonne in particular! In the end, though, STARS pulled through with the majority of the vote. The $98 we awarded will be going to help them send the team to a national dance competition in New Jersey this August! If you want to hear more about STARS, we encourage you to check them out and consider giving a donation to help them realize this awesome, once-in-a-lifetime opportunity for their dancers! We are hopeful that Yvonne will make it back to talk to us again in September. Go Green Trikes is a unique, innovative project and something we feel privileged to get the chance to hear about firsthand at SoupGrant! 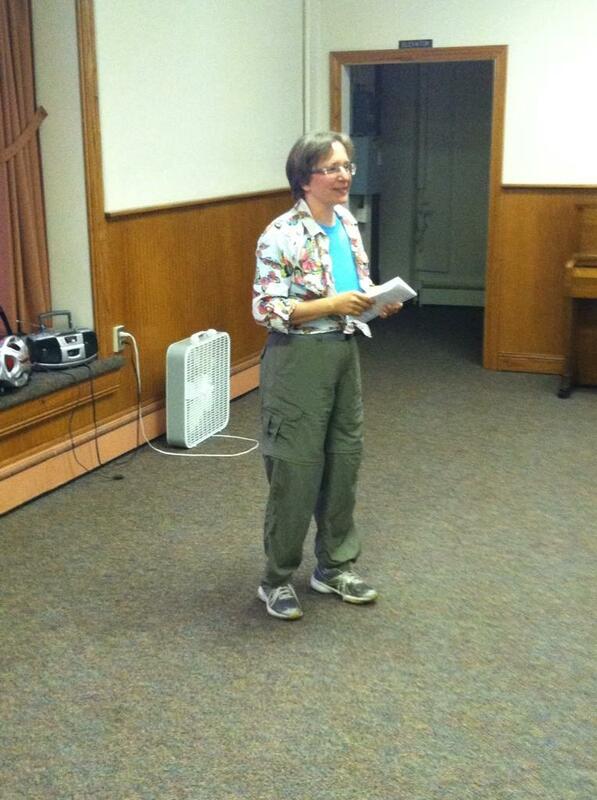 Yvonne from Go Green Trikes, LLC gave a great presentation – we hope you come back in September! See you in August for our 1st Annual Birthday Soup!